This Chocolate Pumpkin Cake is packed with rich decadent flavor and a super fun presentation! I have been wanting to make my Chocolate Pumpkin Cupcakes into a cake for a while but wanted to try something different. So this cake was inspired by a Ho-Ho. Or a Ding-Dong. Whatever its called, it is cake and a whipped cream filling. 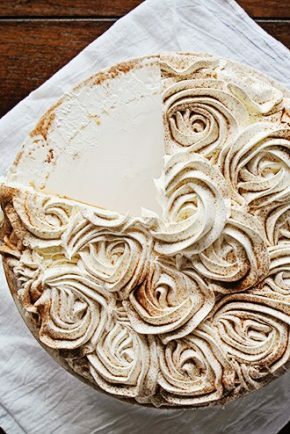 And this cake, well… all that beautiful whipped deliciousness up there… is Pumpkin Whipped Cream. Want to know what it tastes like? Light, airy, delectable pumpkin pie. It’s pretty much the most awesome thing I have ever made. I know I say that all the time but this time I mean it. I then let them sit overnight. (They were ready to assemble in about an hour, I was just tired!) The next day I made the Pumpkin Whipped Cream. Place it in the fridge for about 15 minutes before assembling the cake. Why Straws in this Cake? I knew that my light and airy whipped cream was not going to stand the weight of a cake on top of it, so I took a plastic straw and cut it into 4 pieces. I inserted those pieces near the four corners of the cake and then covered it in a thick layer of the whipped cream. (See how I did this here) This is for stability. Yes, it could be annoying to cut into a cake and have a straw there, but the cake will not stay sturdy without them. If you want to use an edible product, you could make some chocolate covered stick pretzels and use them in the same way. Trying to keep your fingers out of the ganache, carefully place the other square cake on top of the cake covered in whipped cream. It should be sturdy. I put the remainder of my Pumpkin Whipped Cream is a plastic disposable pastry bag with a 1M tip. Just pipe out little clouds of pumpkin heaven and cover with sprinkles. I really can’t say enough good things about this cake. It’s one of the best tasting cakes I have ever made. The taste, the textures, the cake to whipped cream ratio… it just all works together perfectly. Heat oven to 350°F. Prepare two square baking pans with butter & flour or GOOP or non-stick spray. In a medium bowl, sift together flour, cocoa, baking powder, baking soda, and salt. Set Aside. In a small bowl combine buttermilk and pumpkin. Whisk together until incorporated. Alternatively add the flour mixture and buttermilk mixture to the sugar mixture, beginning and ending with the flour mixture. Bake for 18-26 minutes. The cake is done when an inserted toothpick comes out mostly clean. While the cream is mixing place pumpkin puree, cinnamon, and all-spice in a bowl. Stir until combined. Once the cream is at soft peak stage, add powder sugar in a 1 cup at a time. After one cup, turn off mixer. Gently fold in pumpkin puree mixture to cream. If the consistency is not firm enough, add more powder sugar, about a 1/4 cup at a time until you reach desired consistency. 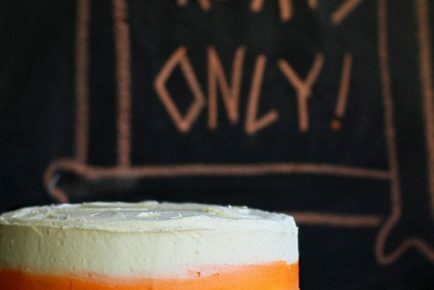 Three tips for the PERFECT Layer Cake! Cold cake, room temperature frosting. Cake can be fragile, but having it chilled is a great way to assemble it without breaking. 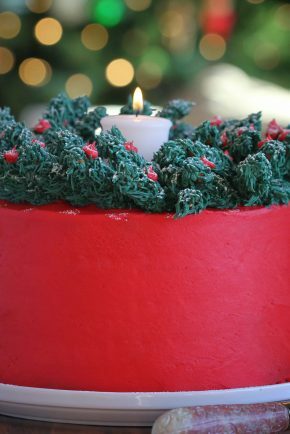 Room temperature frosting is easier to spread and will not pull at your cake. Prepare your pans correctly. You can use GOOP, or butter & flour, or lining them with parchment… but just make sure your cake comes out clean. UPDATED: See this recipe made into Chocolate Pumpkin Cupcakes! I click on the CAKE recipe and it takes me to the CUPcake recipe. How do I get the cake recipe? Is it just me or did you not post cake recipe. Link says go to vupcake recipe which says it’s in a friends book. I wanted to make this for my 8 year olds grandsons celebration. He’s getting baptized after accepting JESUS as his Savior. 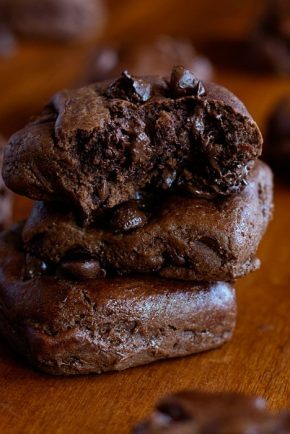 The very top link in the post “See this recipe made into Chocolate Pumpkin Cupcakes” is a link to the cake recipe. There is also a recipe for the cake on the page you are describing. Can you please put a quick link in the comments that takes you to the cake? I see the cupcakes and caramel recipe….sorry if I am missing it. 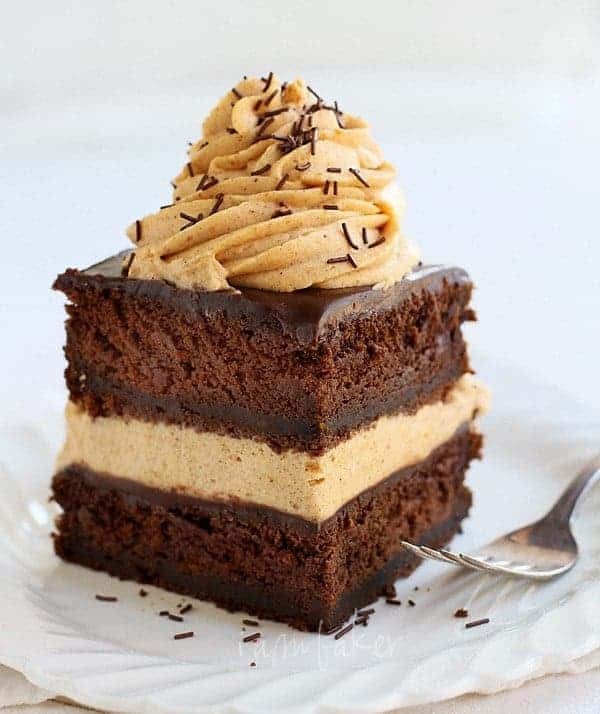 I just bought all of the ingredients to make this amazing cake but I cant find the recipe for the cake itself, just the cupcakes. If you follow the cupcake recipe, do you have to douple the recipe or just divide batter into the two square pans? Also, what temp and for how long? Yes, just follow the recipe and put it into square pans. I bake for about 25 minutes at 350, just keep a close eye on it around 18 minutes. 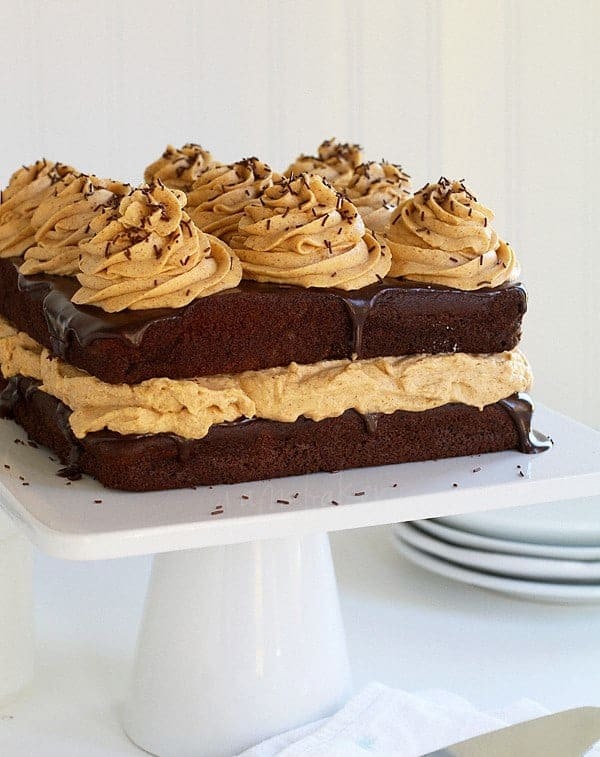 This looks amazing… I would love to see this with peanut butter substituted for pumpkin. This would work in a 2 9″ round pans correct? How long do you bake the square pans? 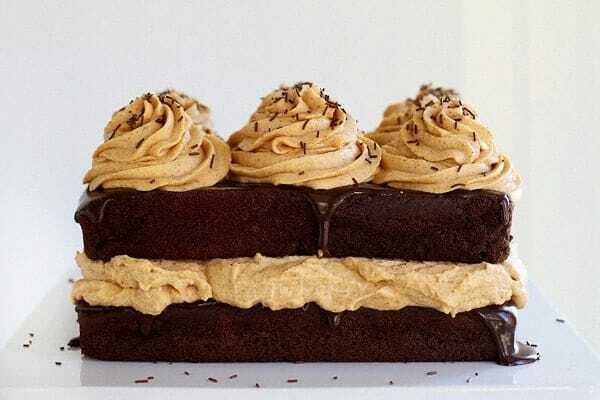 Is there a difference in taste and texture for pumpkin choco cake and a simple chocolate cake? 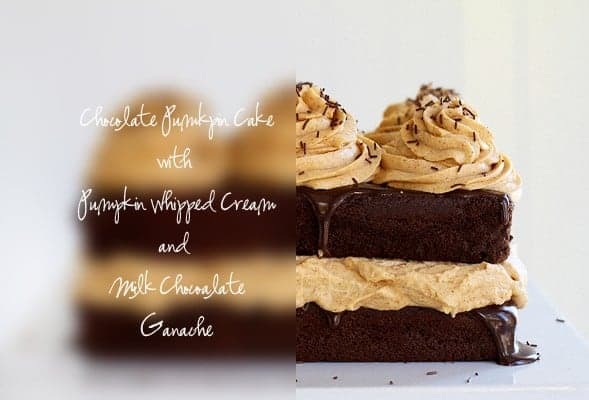 Do you taste the pumpkin for the punpkin choco cake? Yes, there is a big difference in taste, texture and flavor. Wonderful!! Thank you for the feedback! 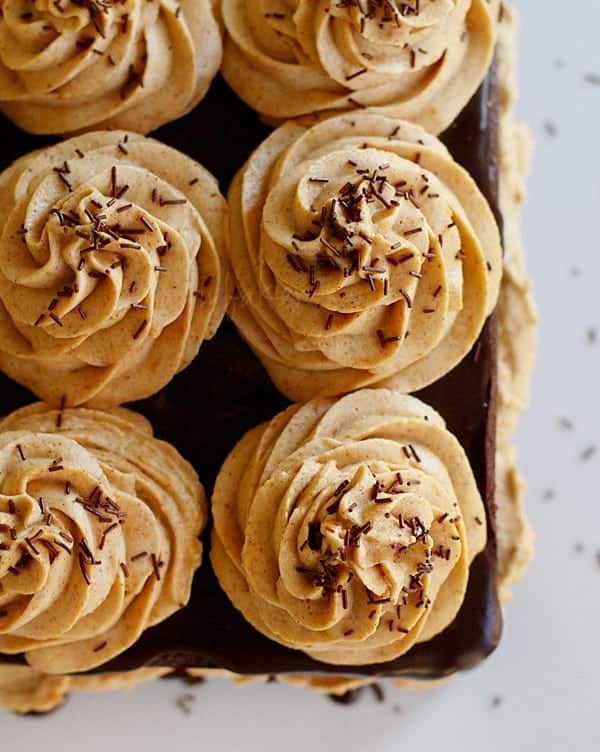 I cannot wait to try this recipe in either form – cupcakes or whole cake – it looks delicious!! I am looking to bring it to a party. Should I assemble at the party so as not to have melted whipped cream? Or do you think it will stay if assembled beforehand? I am travelling about hour to the party. How many cupcakes does the recipe make? Also, which form do you think would travel better. Thanks so much!! I do NOT recommend this cake for travel! Pumpkin spice is pretty great, the cookie recipe I used once for them was amazing! 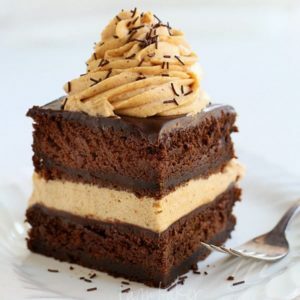 So, how would I go about converting the whipped cream recipe into a cream that can be placed between the two cake layers and hold the top layer? I assume the recipe would involve less cream, but what ingredients would I replace? What would be added? I have made this two thanksgivings in a row, and this Sunday will be my third. I absolutely adore this recipe.. Even though mine is never this pretty, it is always the best thing on the table. Thank you ever so much! <3 So glad you like it! Can you please explain to me what the difference is between ‘canned pumpkin’ and ‘canned pumpkin puree’? I have tried googling it but only find pure pumpkin. Sorry but we don’t get canned pumpkin anything here in Switzerland, but I would love to try your cake. can I use something other than the pumpkin I don’t like pumpkin , HELP !! 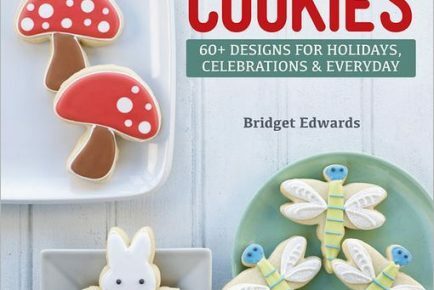 I can’t wait to try all your wonderful recipes this HOLODAY season at all. Taste and texture was excellent and method was spot on. Only challenge was the whipcream “rosettes”… there was no way my cream was stable enough to pipe (fine for filling). I added more sugar, even corn starch. Bowl (stainless steel) and beaters were chilled beforehand… no luck. Where did I go wrong?! I love this lady’s posts. The best video demonstration, and the simplest delicious recipes. I’m a huge fan !!! Since pumpkin “everything” season is fast approaching I discovered this recipe today. I don’t see where it was answered about the cut piece of cake with a total of 4 layers of ganache. This looks devine. Can’t wait to make it! There are not 4 layers of ganache, it is just the cake. The piece of cake shown has 2 layers of ganache.